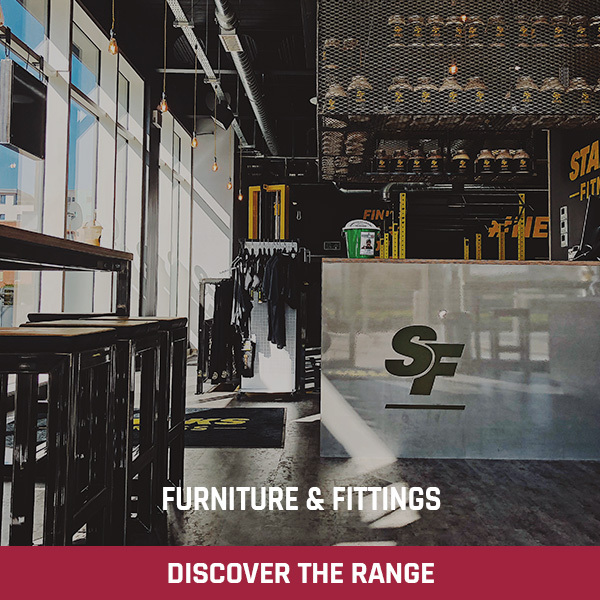 Earn up to 1,460 Points. 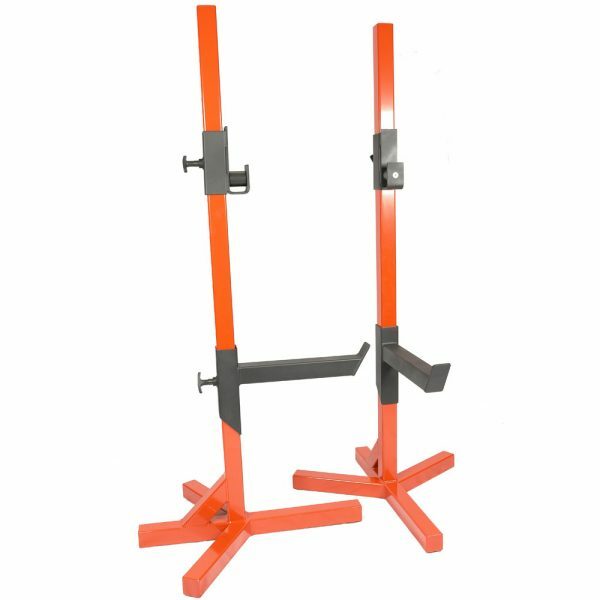 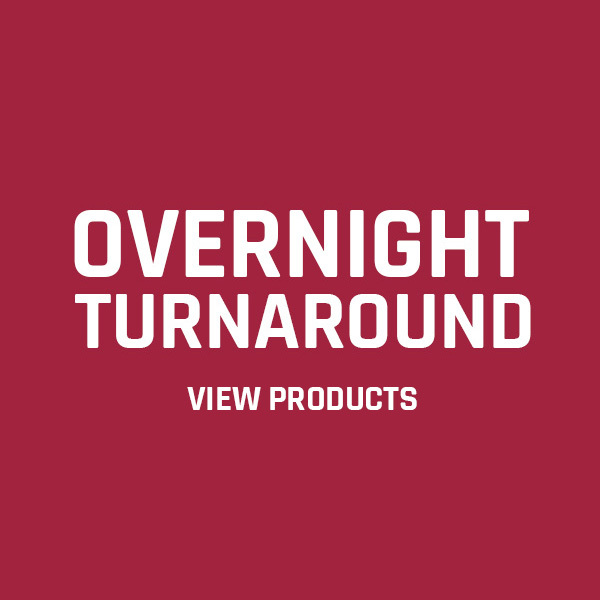 These are incredibly heavy duty, fully adjustable commercial stands with built in safety bars allowing you to lift heavy in complete safety, even when training alone. The Watson Animal Stands can be adjusted in very small increments thanks to the close 30 mm hole spacings. 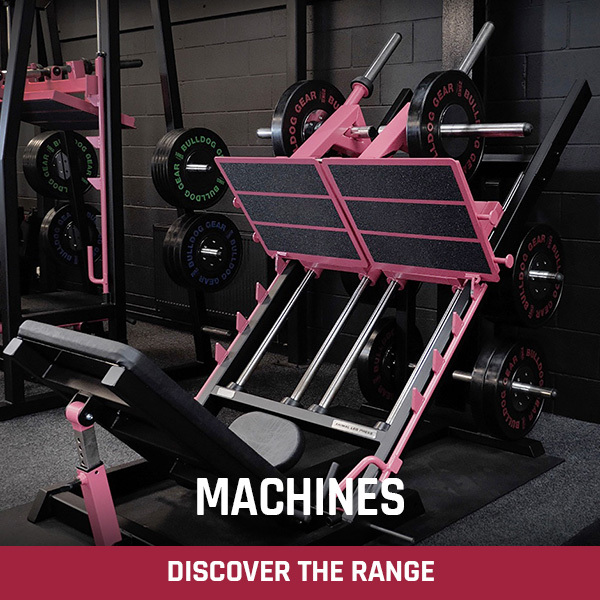 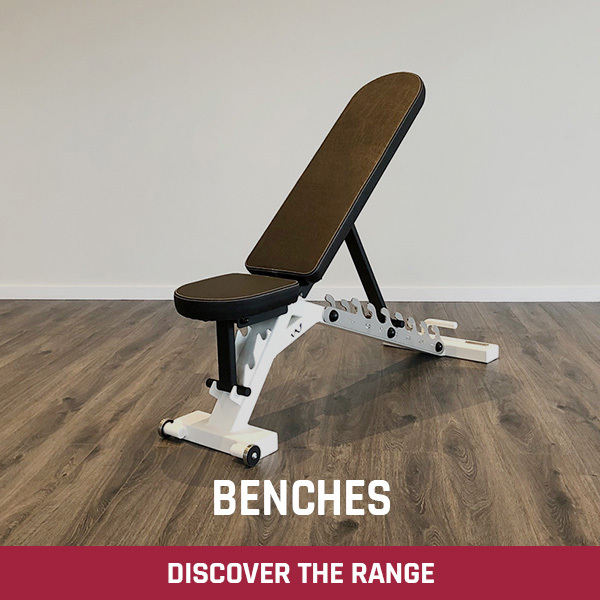 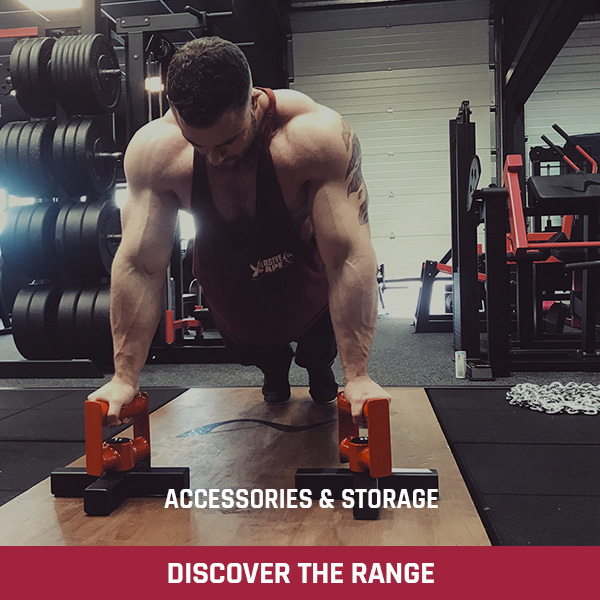 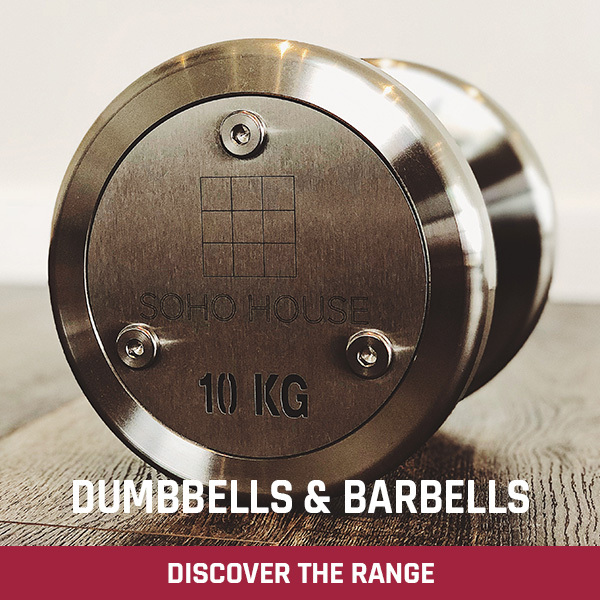 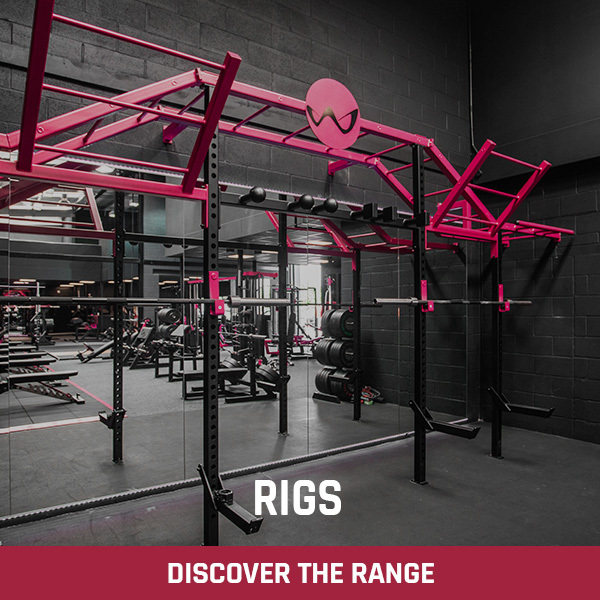 These stands are massively constructed from 70 mm x 70 mm box and perfect for anyone who wants to train hard and heavy but doesn’t quite have room for a full Animal Cage or Power Rack. 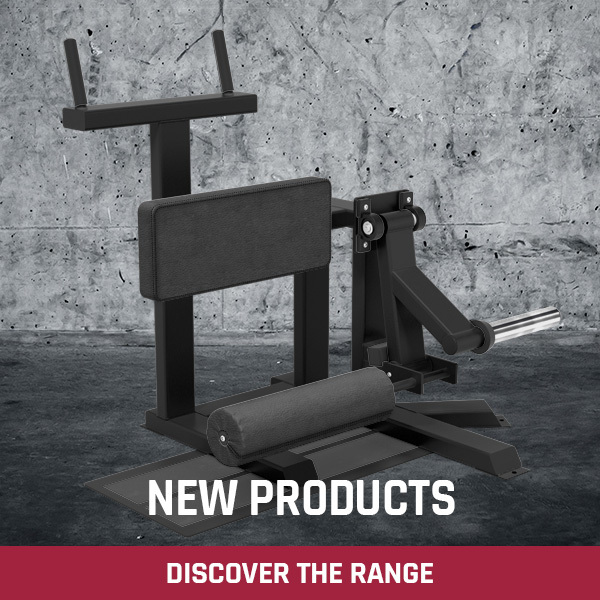 They are also great for power lifting competitions. 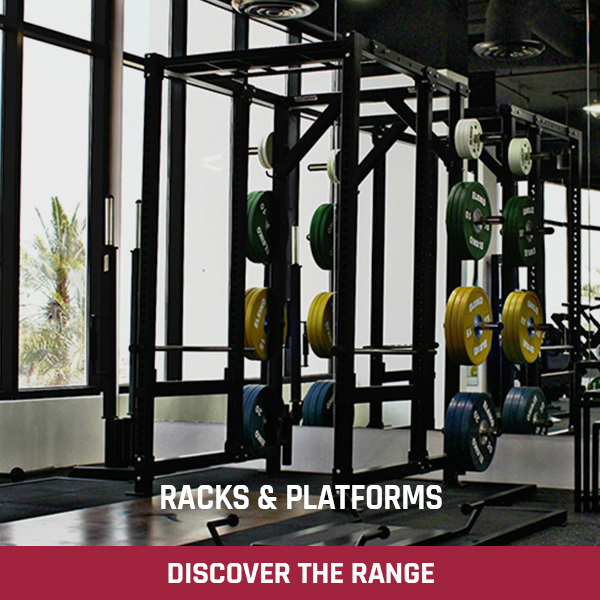 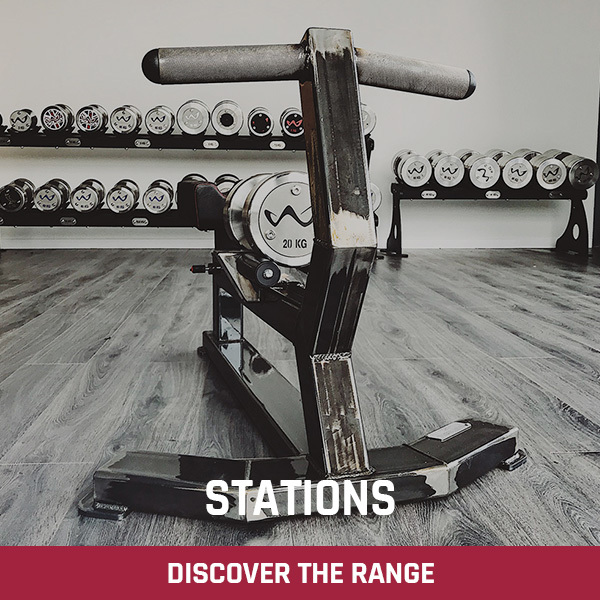 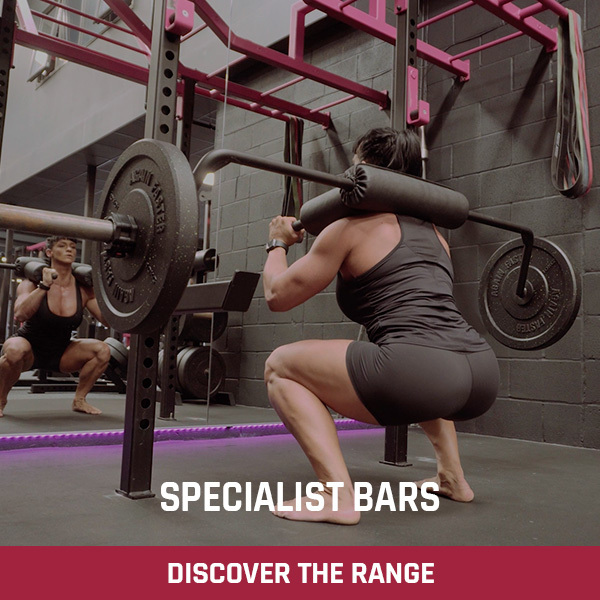 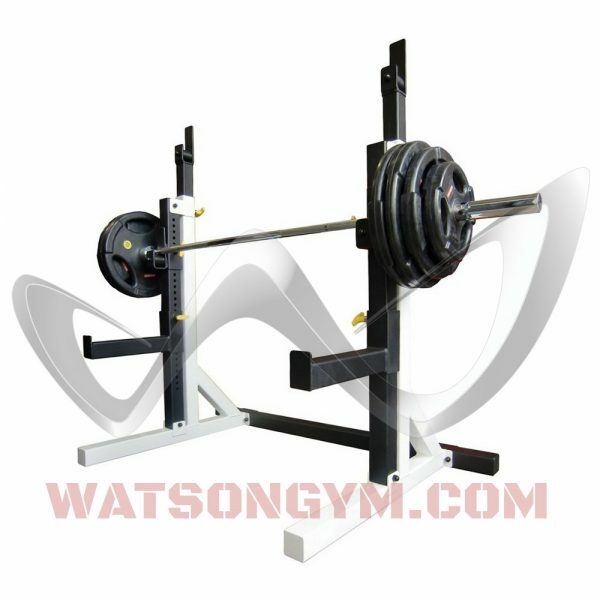 The Watson Animal Stands allow you to train all the big lifts in complete safety: Squat, Bench Press, Shoulder Press, Deadlift, Shrugs, Partials, etc. 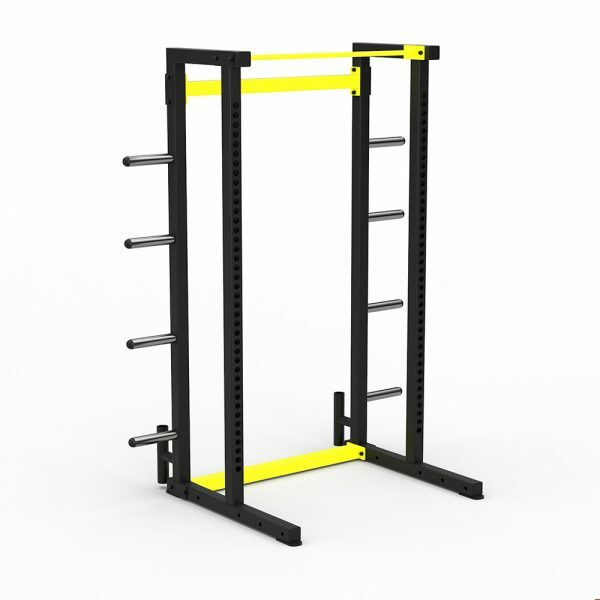 The stands can be set very high allowing you to perform chin-ups with a normal bar or parallel chins with a Log or Swiss Bar, etc. 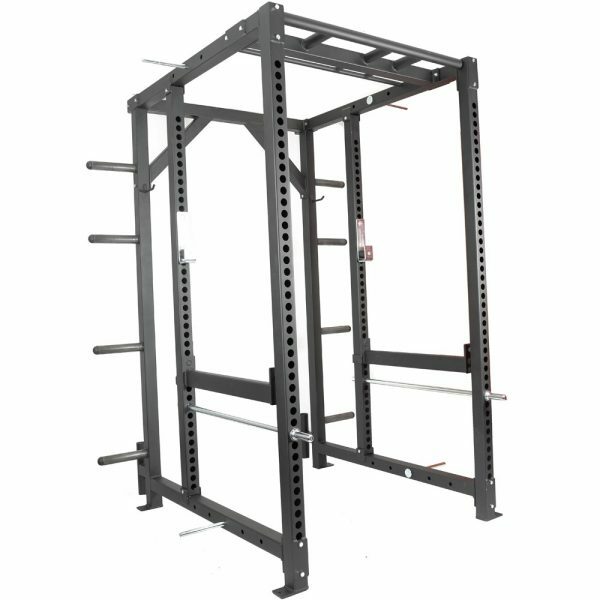 Built-in plate storage at rear (not shown in picture).